I have just landed in Singapore where I will be spending five days, most of it reporting on the World Gourmet Summit, which is now in its 15th year. The summit is an ambitious, two-week-long, event that brings together a legion of celebrated chefs and winemakers from across the globe. It is the brainchild of Peter Knipp who hails originally from Germany. 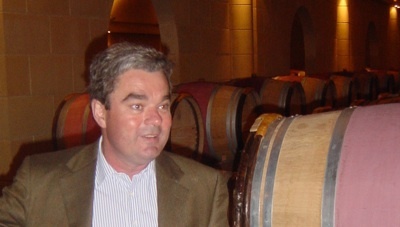 Olivier Bernard in the chais at Domaine de Chevalier. 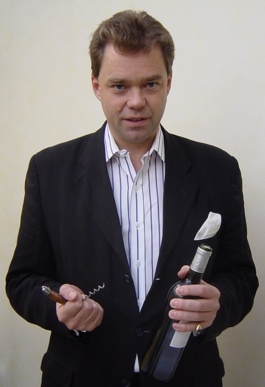 In an hour’s time I will be attending a tutored tasting, followed by dinner, hosted by Olivier Bernard, proprietor of Domaine de Chevalier in the Graves region of Bordeaux. (My inner curmudgeon has difficulty with the more correct Pessac-Léognan – such a clumsy handle for a reserved and elegant wine style.) The Médoc may hog more of the limelight but Graves has been around for hundreds of years longer and the distinction between the two is still best expressed by the analogy coined by Irish wine write Maurice Healy many moons ago. The Médoc and Graves, he opined, are the same photograph printed on different paper, gloss for Médoc, matt for Graves. Beat that! Any who attend the tasting and dinner are in for a treat. A couple of years ago I managed to persuade Olivier to carve a day out of his schedule and travel to Dublin to present a wine dinner. Those who were there still speak fondly of the event. 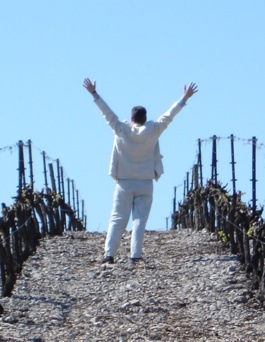 I introduced Olivier, he stood up, folded his arms and spoke with an enthusiasm bordering on brilliance about wine in general, with the odd, seemingly random, reference to Domaine de Chevalier.